SIBO (Small Intestinal Bacterial Overgrowth) is a condition where bacteria has inappropriately inhabited the small bowel and is causing problems such as bloating, abdominal discomfort, constipation and/or diarrhea, and can also progress into even more serious health problems. Conventional medicine uses antibiotics to kill the bacteria. Holistic health care recommends a combination of diet that starves them to death along with herbal products that create a hostile environment where the bacteria can no longer live. As a result, they begin to die off and must be eliminated from the body. As these bacteria begin to die off, certain reactions can be seen. These are not side-effects of the herbs or medications. These reactions are the result of the dead bacteria releasing toxins and temporarily overwhelming the body, essentially initiating an inflammatory reaction so your body can appropriately eliminate them. Some people call this a Healing Crisis. The technical term is Herxheimer Reaction. In many cases during a Herxheimer reaction, the patient will feel like they’re either fighting something or coming down with something, similar to a typical viral infection. Even though it can be uncomfortable, it is actually a good indication that die-off has been initiated. Let’s look at each of these scenarios. If your regular diet includes foods that feed your bacteria (this also goes for fungus/candida and parasites as well), and you eliminate these foods, your opportunistic microbes begin to starve to death. They hate this. They begin to cling and fight for their lives. This is what causes your intense sugar and carb cravings. But eventually, your body overcomes and your bugs die, releasing their toxins. This can be anywhere in the first few days of an elimination diet. In other words, if you are used to sodas, hamburgers and fries that keep the bugs happy, but suddenly switch to baked chicken and spinach salad, your bugs will begin to starve and the process begins. When you introduce a substance that the bugs don’t like, such as an antibiotic or herbal antimicrobial, the bugs will also rage. These target the bugs with intention to kill, so it is expected that die-off would occur. Lastly, if you’ve been on your protocol for a while, and increase the dose, this is another point in the journey where die-off can again occur. Let’s say you’ve been on an elimination diet, have gone through a healing phase, and are now ready to begin introducing foods back into the diet. You begin cautiously, maybe starting with a new vegetable. Everything seems fine so you introduce a new fruit. Pretty good, feeling brave, going for a piece of bread. Within 20 minutes, you are doubled over in pain, so bloated you look pregnant and later that day have shooting diarrhea. This is not a die-off reaction. This is more likely a food reaction, and you should continue to eliminate that food. If you begin a new vitamin or some other supplement that does not have an antimicrobial, anti-fungal or anti-parasitic effect, but you experience a headache or other reaction, this is also not due to die-off. 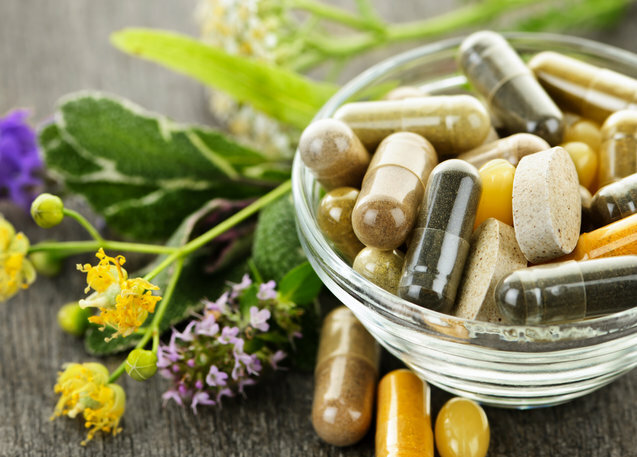 It is probably that you are having a reaction to one or more of the supplement’s ingredients, or it may have nothing to do with what you’re taking at all. If, during the course of antimicrobial therapy, you frequently have die-off reactions that come and go, but have not altered your dose or added anything new, you may consider a coinciding parasitic infection. Sometimes, antimicrobials also have properties that cause parasite die-off. Parasites are tricky. They have strange life-cycles where they lay eggs, the adults die, and then days to weeks later, the eggs hatch and you have a brand new infection. As these continue to die off, you can have multiple rounds of die-off reactions, but these are not due to your SIBO per se. True die-off reactions will usually last one to three days, a week or two at the most, but this is rare. Your symptoms may be constant at first, then taper to only the hour or two following your dose, and eventually dissipate all together. In my practice, I usually start people off slowly. Let’s say my desire is for them to take 2 capsules, three times per day. I’d start them off with one capsule the first day. If tolerated, I’d have them take one capsule twice the next day. On day 3, they could go to 1 capsule three times that day. And then continue to titrate up until they are tolerating the full dose. If reactions come up, they have the choice of either staying at a dose until they pass the die-off phase, or pushing through and getting to the maximum dose despite the reaction. This process is monitored closely until they are at full strength. Additionally, drinking plenty of water and doing water or coffee enemas will help flush all of that out of the system faster. Slowing down the elimination diet can help your body adjust. Taking epsom salt baths, soup broths, and herbal teas can also be helpful as you rebalance your internal environment. Although die-off is uncomfortable, it is considered a good indication that what you are doing is actually working. The road back to health can be bumpy. You may not always feel well. You may have intense food cravings. You may even have fleeting thoughts of giving up. But as you stick it out, you will see that it will definitely be worth it in the long run. Hi Kim, historically, I have found a better result by starving them out during the antimicrobial phase. I add foods back once patients have progressed to the repair phase of treatment. Every case is different, but as a general rule, that’s what I see working. I have had sinus problems for yrs now, I had sinus surgery in 1999 and I felt good for 6 yrs then all the problems started coming back. I have gone to Doctors and they throw antibiotics at me I take them and feel better for about 3 weeks then it starts all over again. So I started reading about what I could do to help myself. I found Allimax pro 450 mg. I started taking it two days ago 3x a day. Today I feel so bad I feel dizzy, with brain fog and no enegery. I’m 49 years old and I just can’t live with this any more I’m at the end of my rope. You might try looking into candida overgrowth. I’ll see that as a common thread with chronic or recurrent sinus issues. Maybe get your sinuses sampled and cultured if you haven’t already. As for the Allimax, I’d slow it WAY down. It kills off a lot and any time you’re killing off anything, you need to make sure the body can handle it. When people have reactions, I usually have them drop down to a really low dose, like 1 pill a day, and slowly work up to full dose over time. Saunas and detox baths can help. Can you die from sibo? Hi Sally, that’s an interesting question. The overgrowth itself won’t kill you because it is just normal gut bacteria that has translocated into the wrong organ. If it was going to kill you, it would have done so in the colon. What happens over time is that chronic SIBO can lead to maldigestion and malabsorption. This leads to many chronic disease states. So we want to do everything we can to avoid this so we can restore health as soon as possible. Thank you for writing this. It was just the encouragement I needed. I just began an antimicrobal & upped the dose from one capsule to two. My psoriasis spots started getting itchier & I feel uncomfortable. Good to know that it is probably just a die off effect causing inflammation. Thank you for the article. My naturopath suspect that I had SIBO. Also, through ultrasound, I was diagnosed having a fatty liver just recently. Also, 5 of my fingers are heavily inflamed. I’ve decided to use the Candibactin AR/BR treatment route. I’m taking the pills per the dosage on the bottle and following the low fodmap diet. It’s been over a week, but I feel that there’s not much improvement on my digestive system. About 4 or 5 days ago, I’ve had some high fodmap/SCD illegal food in a social setting. And I’ve been feeling quite bad since then. It doesn’t look like its a die-off symptom, does it? How do I know if the pills are actually working for me? Hi Mike, SIBO is a pretty complex situation. It doesn’t always respond the way we would think of an infection resolving from a course of antibiotics. There are many factors involved so an antimicrobial alone may not be all you need. Also, you may not see relief from the antimicrobials for quite some time. Some patients require several rounds. Keep in mind that antimicrobials will not heal a digestive system. Once the inflammation is reduced and some of the bacterial count is minimized, the gut lining can start to heal. That may be when you start to feel better. Right now, it’s like a swamp in there and reducing bacteria is step #1. No the food intake does not sound like die-off. But you may have some die-off with your antimicrobials. Technically, there wouldn’t be a way to know the Candibactin is working unless you had pre and post breath testing. And even then, it can be challenging. My advice to many is to stay the course. Don’t focus entirely on just trying to kill the bugs but move into a direction that promotes greater and greater health. In the past week eczema has been cropping up on my body. I have itchy areas on each temporalis muscle—just inside my hairline right on the Gallbladder Meridian on both sides and also under my breasts on the ribs—also on Gallbladder meridian on both sides! I think it is interesting that my eczema spots landed on my Gallbladder Meridian. (I’m a massage therapist and have studied some Chinese Medicine.) I wonder if you had anything to say about that? I’m on the Fast Tract diet now and Dr Robillard says raw aged cheeses are acceptable. I ate small amounts of it last week. So wonder if that could be the reason I’m seeing eczema crop up? Also, wonder if the eczema could be die-off related? You mention rashes in this article. Like I said, I’ve been on a low-FODMAP diet (though am interested in trying your recommended SIBO diet) and I’ve also been taking Life Time’s Oregano Oil and Olive Leaf Tincture for the past week. I bumped the dosage today and had some bloating and other symptoms listed in your list for die-off, making me wonder if it is die-off! 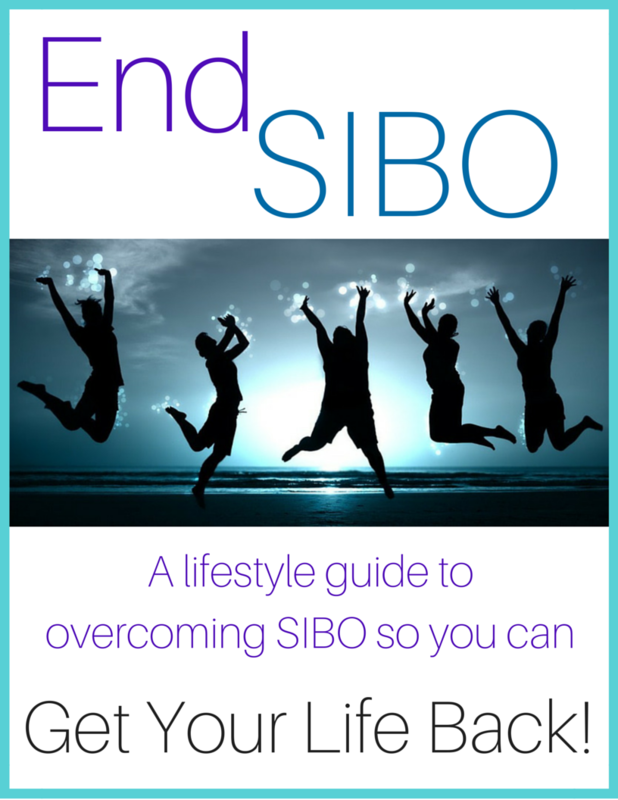 So many things to think about with SIBO. I am working with an ND and she is waiting to hear back about my breath test. Though, I pulled the trigger and started with the tincture anyway. Seeing how I have responded to high FODMAP foods, I’m thinking it is SIBO. Will know for sure soon! I use the diets as a starting point. In practice, I mostly use the diets to reduce bloating but also to give the body a break from many of the foods people have been eating that are actually contributing to their overall gut mess. You have to remove certain foods that increase inflammation or are difficult to digest in order to create a more healing environment at the gut lining. When I see skin manifestations, I think a few things: 1) possible candida, 2) leaky gut/intestinal permeability, and 3) die-off. The skin is an organ of elimination. Toxins can escape through the skin, so when they can’t get out thorough the colon and kidneys, the skin becomes a viable route. I use MegaSpore Biotic quite a lot and it is wonderful for the skin rashes. I also sometimes use kidney support such as Renegen DTX http://thehealthdimension.metagenics.com/mp/products/renagen-dtx to support the elimination through the urinary system. This can also help those with constipation and I find that it changes the consistency of the stool with many patients. Thank you for your reply, Dr. Lisa! The itchiness may indeed be candida. I don’t ever have yeast infections, but I had a mild case recently, maybe connected to the SIBO? I read your SIBO ebook and have been following your diet recommendations and it is the best diet of all the SIBO-related diets I have tried (which were just two). I believe every food in your green zone works for me! I haven’t ventured into the yellow zone, but your lists makes the most sense from my experience. Just wanted to share my protocol that I was finally able to start full on this week (based on Dr. Siebeckers): Interfase on an empty stomach. Then Life Times Oregano Oil & Olive Leaf exxtract, Integrative Therapeutic’s Berberine Complex & Allicin with food. (for two weeks) I’ll be switching to the Candibactin AR/BR combo afterward. My die-off symptoms have decreased now, but wonder if I should continue to drink detox teas? Do you recommend specific teas for SIBO die-off? Im so sorry, somehow I missed this comment until now. I’m really glad you’re on the products. By now, I hope they’ve been working for you. I’d say add anything to help you detox or drain the toxins coming off the dead bugs. I use German Bio Meds but I’m sure there are several approaches. The more you drain the less you will feel the die-off. And please follow with gut repair after you clear the SIBO. That will be key!! David!! You have been on my mind and I have been meaning to email you. I am just seeing this comment now – usually I am alerted when someone comments. Let’s be in touch soon! Hi. I have been on herbal medicine for candida and changed my diet for 7 days now. I have a facial rash and my face and eyes have been swollen for the past 6 days. Is this die off ? Partly, but I suspect leaky gut/intestinal permeability. Currently I am seeing a naturapath, to cut the story short, I had breath test done awhile back, unfortunately, it was only the hydrogen test result given without the methane test and because I was in excruciating pain, I didn’t want to go through another test. Meanwhile I am waiting for the complete stool analysis results, my naturapath thinks that everything is pointing my symptoms (including my hydrogen breath test) to SIBO so she has putting me on the antimicrobail treatment for SIBO + supplements. I am no longer in excruciating pain and I am on 3 Bactrex capsules (Metagenics), will be working up to my full 4 capsules per day in 1-2 days time. Some days I am feeling better but at times I can still feel the sharp/stabbing pain across just under my rib cage, feeling bloated, increasing my mucus excretion and wake up several times at night. Could these be part of the die-off symptoms that I am encountering? Thank you for your help, your SIBO information and looking forward to your reply. SIBO is a really complex condition to work with. I use all sorts of different protocols for each patient. You may need a more broad spectrum antimicrobial and additional GI support such as enzymes, HCl, motility agents, etc. Everyone responds differently to treatment. Some people feel nothing. Others feel very challenged during treatment. And some don’t feel better until they go through gut repair AFTER the SIBO is resolved. I’d consult back with your naturopath and make sure you are being monitored. Best wishes for you!! I am currently on her liquid Herbal Formula (I think is her brand range of treatment) 3ml 15mins prior to meals, Metagenics Bactrex 2 capsules after breakfast and dinner, Metagenics Aloe Vera Juice after breakfast and dinner, Medi-Herb Poly C Powder after dinner, BioMatrix by BioMedica twice a day between meals. And because I still felt the painful and my urine is not very clear and felt sensitive towards my vargina, she also prescribed me Iberogast and Uroplex. I was on metagenics Vegetarian Digestive Enzymes but after I used it, the pain seems to increase, so she suggested that I consume more protein,low FODMAP veg, rice & gluten free grain to combat my weight loss. I am on my Metagenics Bactrex one and half bottles now and because I started very slowly with it, I am on the full dosage ie. 2 capsules twice a day for nearly 3 weeks. And yes, I am also on LOW FODMAP diet at the moment. So with so many things I am taking, I take that I am having my treatment as well as the gut repair at the same time, so how come, I am still feeling sharp pains (about 1-1.5 inches above the navel) from time to time especially around 5pm, that area felt hot inside, short of breath, coughing at times, waking up many times at night, block nose at night, nose is cold (from time to time) like when I had sinus etc.? This can't be die-off symptoms anymore, can it? I thought SIBO patients should feel alot better after 2 weeks of of full dosage of antimicrobail treatment + diet + supplements/gut repair, is it normal that my recovery is so slow especially I haven't suffered this pain for many years (only started after Oct 2016)? Your insight and comments will be much appreciated. Treatment can take quite a while. Don’t give up. Refer back to your doctor to identify the abdominal pain. Wishing you well! Two days ago I began with oregano oil 1 capsule/day (185mg per capsule; 80% carvacrol), increased to 2 today. Today I began with Allimax 2 caps/day (180mg Allisure per capsule) and will increase to 3 capsules/day tomorrow. Will continue with 2 capsules oregano oil plus 3 capsules Allimax for 2-3 days, depending on how I feel. Afterwards, I plan to “graduate” from Allimax to Allimed (450mg Allisure per capsule), increasing daily from 1 to 3 capsules/day plus the 2 caps of oregano oil and stay on this for 3-4 weeks. Since I suspect candida too, I will add Interfase (w/o the “plus”) in about a week. 1.: Is the beginning of this protocol too slow/mild to be effective? 2.: Since I have extreme burping today and my belly is very bloated, I begin to long for Atrantil, which is supposed to be successful with the methane/constipation type – can I add it to my current treatment plan or would that be antimicrobial overkill? Or should I first do the 3-4 weeks Allimax + oregano oil and when that is finished continue with Atrantil for another 3-4 weeks? By the way: This is my second day on a vegetarian variation of SCD diet: 130g permitted cooked veggies, 15-20g fat, 1-2 eggs, 1-2 tbsp jasmin rice — 3x/day plus 1 tsp almond paste with 1 serving of fruit 1-2x/day (almond for calcium intake; menopausing…). I’d love to get your opinion on my “self-made” healing plan. Bravo on creating your protocol. You can start slowly, no problem. Just get up to full dose and stay there if possible. I personally go higher on the Allimed/Allimax Pro 450. I have used similar protocols and included Atrantil with no problem. What I caution here is that when I have taken patients off too soon, there has been a rebound effect. I see better results staying on longer term (3 months or so) then dropping down to a maintenance dose of your tolerance – usually 2-3/day for a while before tapering all the way off. I pretty much exclusively use MegaSpore as a probiotic so cannot comment on others. Each case is different, sometimes I start earlier in the protocol, other times I wait until the end – always starting very slowly and titrating up slowly as well. Diet, I’d say do whatever you find that works at eliminating bloating. No processed foods, gluten or dairy. But you can do diet and antimicrobials together, no problem. Oh, and my patients who choose SCD do quite well. It’s really hard to say without a comprehensive history to get your whole case in context. You might check gall bladder. I see a correlation between gall bladder and HCl. When the body isn’t making HCl it doesn’t pull the salts out of the bile which are used as ingredients to make the HCl. The bile becomes sluggish and doesn’t flow like it should. Bile is bacteriostatic so it is very important to have good bile flow especially when trying to beat SIBO. I like zinc carnosine for SIBO – not sure which chelate you’re using. And you probably do need a more broad spectrum antimicrobial regimen. Thanks for reply. My endoscopy showed a tiny 1 mm size gallstone. Is this likely be a contribution towards my SIBO and hyperchlorhydria issues? If so, would some kind of a cleanse be useful? Well, if it is obstructing bile flow or if you have poor bile flow in general then there could be involvement. Rather than a gall bladder purge, if this is what you are referring to, I would go more slowly with supporting the gall bladder. Beets can be quite helpful. I think I have SIBO/Leaky Gut. I am wondering if fasting diets can help to starve the bacteria and give the gut time to heal? Great question, Tim. Fasting diets can help reduce bloating, and intermittent fasting can help support the microbiome. There can be some die off from fasting, but it is doubtful that this would eliminate the SIBO. Typically, it requires a combination of some sort of antimicrobial herbs or antibiotics, digestive support with HCl if needed and possibly digestive enzymes, possibly a pro kinetic like ginger or MotilPro (there are others as well). And then you’ll want to follow up with some good gut repair and maybe a probiotic – I like MegaSpore. I tend to use elimination diets initially to 1) get people off the processed foods they’re eating and 2) remove the foods that tend to cause bloating by feeding the bacteria. In order for the intestines to heal, you need to be eliminating offensive foods. I tell my patients that the GI tract is the only organ system on the body that comes into direct contact with food. So if an offensive food is a contributing factor, it’s like throwing salt on an open wound at least 3 times per day and nothing ever has a chance to heal. I had positive test on SIBO hydrogen peak was 126 methaen was from 1 to max 5 and i have diarrhoea. I went on xifaxan for 10 days 1200mg per day.. on day 4 i got diarrhoea 3 times (before i started my stole was acctualy good) on day 5 and 6 the same story, i think a litle bit of mucas also. Rest of the days was ok, after i stop with xifaxan i didnt feel all better, still have gases and rumbeling in my belly, i dont know whas that dieoff? If so why am i not cured? You said some dont feel better before they go through gut repare after sibo is gone.. how do i know my sibo is gone or is it just that i didnt still get read off sibo? There are just so very many factors involved. I have rarely seen a case resolve using xifaxan alone. Tested positive for Sibo and had antimacrobials the first two rounds and then rifaxmin the third round all in a matter of 3 months. Rifaxmin seemed to work a little bit, felt good for a while. My main symptoms are nausea and bloating with non-frequent fatigue and headaches. Although the fatigue and headaches have improved a little, I was still having nausea and bloating. The last couple of days, I made chimichurri with parsley and cilantro and a banana pepper and my symptoms got worse, like nausea and bloating got worse than my normal and not able to eat. Also had fatigue and headache but those are a little better. Dr., do you think that could be die-off symptoms? Die-off usually only happens when you first start an antibiotic or antimicrobial. Certainly there are exceptions. You might look into gastroparesis and find something to help your motility. Good luck to you! I’m currently undergoing treatment with Allimax Pro, Oregano Oil and Berberine – Also going to alternate the Oregano Oil with Neem. What length of time do you recommend doing treatment? I plan on 1 month for sure but am willing to do whatever it takes. Also, do I titrate these supplements down slowly at the end of treatment? And lastly but just as important, how do you suggest healing the gut after treatment? I am thinking Iberogast, L Glutamine and Mega Spore Biotics. Any info is greatly appreciated!! The length of treatment typically depends on your levels on breath testing. The higher the levels, the longer the treatment is to be expected. I make the decision to taper down off the supplements when I am not planning on retesting right away because the patient is waiting for insurance to approve the test or for some other reason like they can’t get an appointment at the lab for some time. In these cases, i might taper down to see if they can hold at the lower dose. If I know I will be retesting, I don’t taper down on dose. I just retest. Iberogast is for motility. Gut repair usually involves polyphenols, antioxidants, glutamine, and MegaSpore for sure. I’ve been taking antrantil for two weeks now and am still experiencing die off symptoms (headaches, bloating, fatigue, aches). This seems to be much longer than is normally experienced. Why could this be and is it a good idea to continue if the effects are this bad? I’d encourage you to open up your detox pathways to see if you can get more of that toxin out, especially through your skin. Some great options are to do regular saunas or hot baths. I like to use epson salts and baking soda in the bath, maybe even magnetic clay, to help draw out the toxins through the skin and ease the die-off symptoms. The fact that you’re experiencing die-off for so long could be an indication of a high microbe burden, or even that there is more going on than just SIBO. Can sibo cause bile reflux? I recently tested positive for sibo, my GI doctor thinks it may be causing my bile reflux. Oh, good question! I have been looking at this a lot lately myself. I don’t know that SIBO actually causes bile reflux. I think inflammation in that area causes the bile reflux. I usually use products to support bile flow such as milk thistle, dandelion, choline, beets, taurine and sometimes turmeric or curcumin but you have to use that conservatively IF there is a gall bladder issue. Maybe look into getting an abdominal ultrasound to rule out anything with the gall bladder. It’s a touch situation. Good luck!! I hope you find answers. I have Sibo and I have been taking biocidin herbal antibiotics for a month at its highest dose . I was so angry I could hurt someone at work while taking them, in addition my appetite and cravings were severe . I would kill to full fill my cravings . So I stopped cold turkey . The day I stopped I started getting sever muscle joint pain in my knees . I couldn’t walk hurt so bad felt like I was going to calapse . Is this die off , I’m I at a super inflammatory state ? I’m thinking of going to the hospital . I’m not taking and detox ? It sounds like you have much more going on that just SIBO. I’d check for intestinal permeability and look into supporting your gut with something like MegaSpore Biotic. Check with your practitioner. Wishing you well! I can’t comment specifically on your case because I don’t have all of the info and I’m not your practitioner. But I will say that I typically only use Allimax for those with methane. I also only have people use PHGG when they;re taking Xifaxan, not herbs. Diet will not cure SIBO, it only has potential to minimize symptoms while you’re going through treatment. Good clean diets are always recommended because your food comes into direct content with your digestive tract so you want to keep it as clean as possible. Good luck to you!